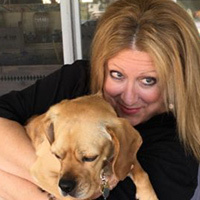 Sixty-five year old comedienne Elayne Boosler has accomplished more than her fair share of achievements in the world, it would seem. She is famous for her feisty political humor but perhaps even more famous for her love of animals. Her tenacity and fearlessness led to her becoming the first-ever comedienne to finance her own comedy special in 1985, a time when cable networks would not allow females to host specials. Her career began when she worked as doorperson at The Improvisation Comedy Club in New York City. Comedian Andy Kaufman, a performer at the club, convinced her she should get into standup comedy. She has always used her money and connections, however, to help animals around the world. Elayne is an animal rescuer and advocate who founded an all-species animal advocacy and rescue organization called Tails of Joy. “And Best Country Song goes to … The Gatlin Brothers!” Who hasn’t heard the magnificent harmony of these three brothers? Rudy Gatlin, the youngest of the trio, began singing with big brothers Larry and Steve when he was just 2-and-a-half years old. This year, he’s turning 65. Aside from music, his passion is golf. 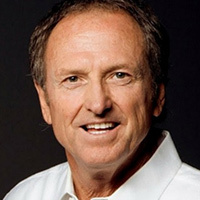 He has organized and hosted, with his brothers, the ‘Gatlin Brothers Metro-PGA Assistants Celebrity Golf Tournament for MDA” for more than 20 years and raised over $2 million for the Muscular Dystrophy Association as a result. He has also been involved in other charity golf events, including raising funds for the Juvenile Diabetes Research Association. "I've enjoyed playing with some of the greatest golfers ever!” he says. “Between watching their every move and the fine instruction of my long-time friend Randy Smith, some of it finally sunk in!" 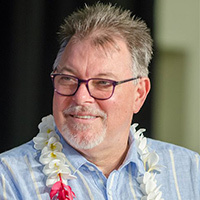 Jonathan Frakes is turning 65 this month, much to the delight of Star Trek: The Next Generation fans. Most famous for his role as Number One (Commander Riker) to the captain on the 1980s reboot of the popular Star Trek television series, Jonathan has been married nearly 30 years to actress Genie Francis and has two children. His career, however, began on Broadway after he attained his Masters degree from Harvard University in 1976. Jonathan’s first role on film came from an episode of Charlie’s Angels in 1978. A little known fact about Jonathan is his love of the music. He played the trombone several times as Commander Riker and was a member of a vocal backup group for fellow castmate Brent Spiner’s 1991 album Ol’ Yellow Eyes Is Back. Star Trek has been a double-edged sword for him, he admits. But he also admits that to deny the franchise would just be foolish. And, in some ways, he is a believer in the virtues the show espoused.